Featuring four powerful jet flames and an entirely visible body, the Rockwell Quad Torch lighter puts all of is glorious toasting power on display. Featuring easy to use thumb trigger ignition, fuel level window, and adjustment wheel, this inexpensive and cool-looking refillable butane torch gets the job done every time. Lighter performed well through one fill of butane. Now doesn't light. 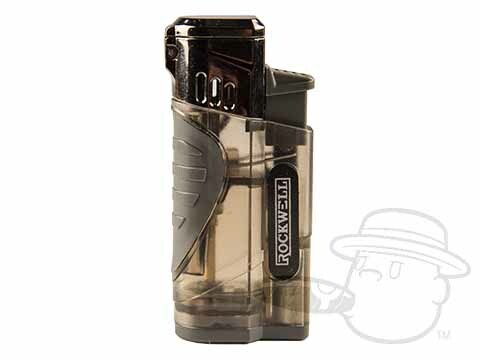 Rockwell Quad Torch Lighter is rated 1.8 out of 5 based on 1 customer ratings.